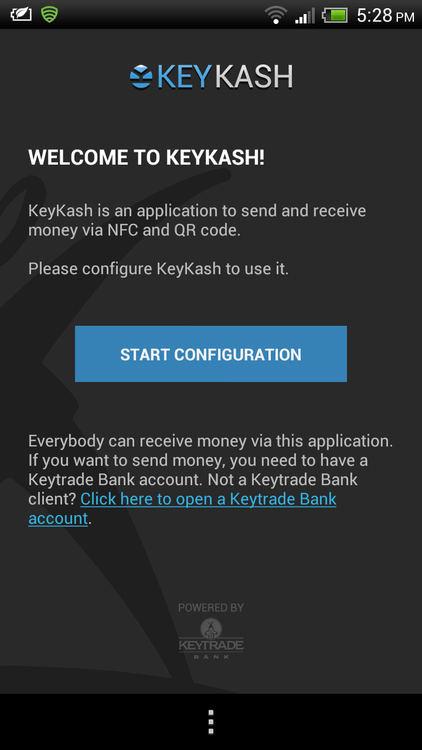 Keytrade Bank's iPad app and KeyKash Android app [Review] - Harold Tor. 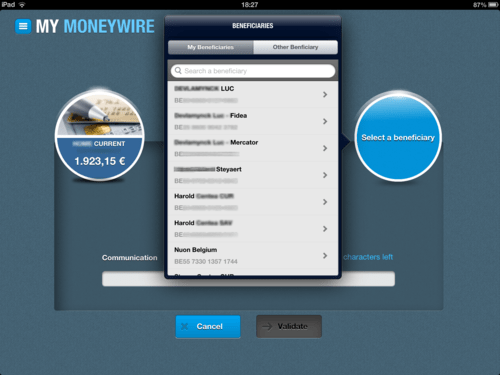 I think it is high time Belgian banks get their act together and produce quality mobile apps for their customers. ING and Rabobank were the first to have produced mobile apps for their clients. I would make a comparison between ING’s app and Keytrade’s towards the end of this review. 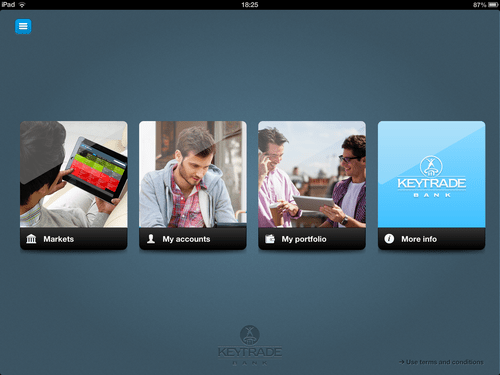 In terms of a user-friendly app specifically geared towards iPad users, Keytrade’s app, launched in November 2012, was well thought out. 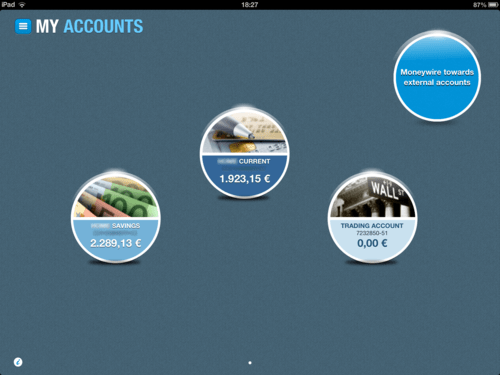 How does a user use the iPad for banking purposes? What sort of information does a user seek, and how you can provide that information in such as way that you achieve high level of clarity while functioning within the screen size and limits of the iPad? 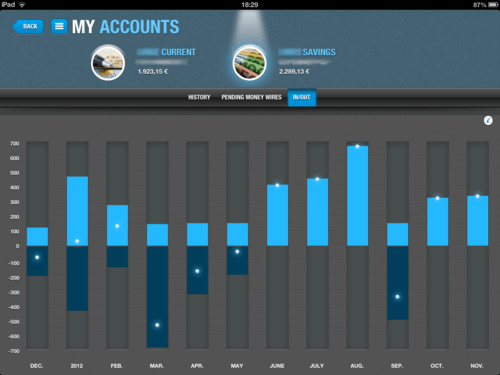 What sort of tasks does a user seek to perform, while doing banking on an iPad? How can you maximise that user experience, so that it is both easy to perform and dummy-proof? What are the finger actions a user can take in order to carry out certain tasks? Security is a great concern for a banking customer. How can security be put in place to both reassure the user while not inconveniencing that banking experience? Markets refer to the stock market activities that one can follow. It offers a dynamic “heat map” that shows the recent evolution of all the markets that Keytrade Bank offers. In terms of making full use of colour differences as indicators of information, the app has done extremely well. Throughout the Markets component, green represents yield while red represents loss. Anything with a negative sign before it is marked automatically in red. It is human nature to consider red as bad while green (like in a traffic light) represents growth, okay and regeneration. I do not buy shares so I will not comment on the My portfolio component. So let’s move on to the My accounts component. 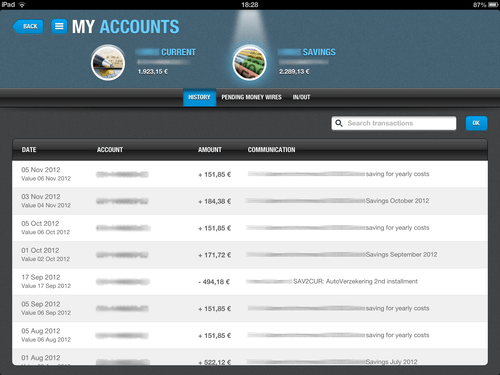 Once you click on My accounts, you have access to all your accounts with the bank. They are well represented by big circles, each with the name, number and balance clearly marked. Now here is the fun part: If you want to transfer money from one account to another, simply drag one circle (the transferring account) and drop it onto the other circle (the recipient account). A screen would pop up for more information: the amount to be transferred, the date etc. Once the information is keyed in, you will be requested for your transaction password, like for their web banking. Should you want to transfer money to an external account, simply do the same for the circle that says ‘Moneywire towards external accounts’. There, you get to choose from a list of saved accounts or you get to key in a new account number. For each account, you get to check the in- and outflows easily, like what you can do on their website. But because visual cue is more crucial for a smaller screen space on the iPad, the app offers a clear graph on the ‘In/Out’ chart. Once again, the positive (inflow) amount gets a brighter blue while the negative (outflow) amount gets a darker hue. Very well-thought out visual aid! As on their website, you can check out individual transactions for each account. 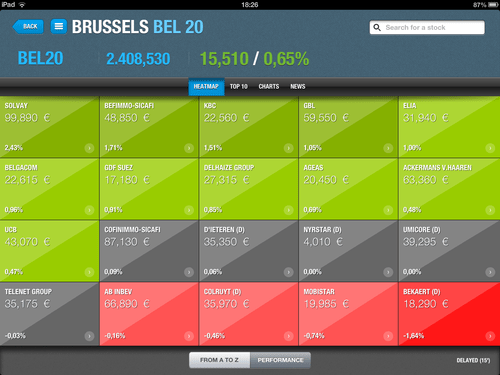 I think Keytrade’s iPad app is the first in Belgium to have achieved this high level of user experience, because it was specifically developed for the iPad. The developers clearly understood how to make use of visual aids (colours, especially) and drag-and-drop actions, thus fully utilizing the potential of the iPad. In comparison, the ING app fails miserably. In keeping with the colour scheme of the bank, everything in ING’s myING.be app is in white, orange and grey. They do put positive numbers in green, but that is all. The user does not get the immediate sense of the information like in the Keytrade app. 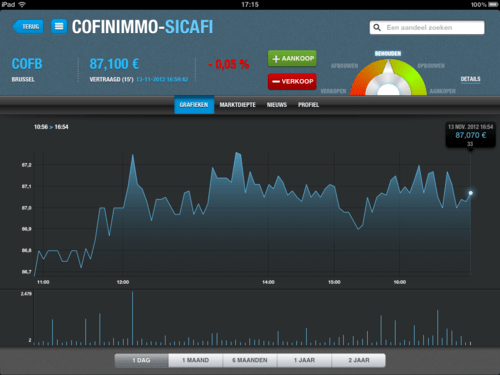 On top of that, ING’s app was done for iPad, Android and iPhone. All of which are more or less identical. This means that the developers did not take into account the much larger screen size of the iPad, the buttons you can use on Android, the finger actions of the iPad etc. Keytrade clearly understood this. On the other hand, I see that Keytrade views most of the users as investment customers. The components dedicated to investments are clearly more elaborate than the banking parts. There are more to banking for me than a simple transfer of money. How about fixed transfers, foreign/Eurozone money transfer, or managing my bills? But already, the effort is laudible! Thank you, Keytrade. Now I can sit on a sofa in a café or anywhere in the world, and consult my bank account with ease. While researching and writing this review, Keytrade launched another mobile app earlier this month. 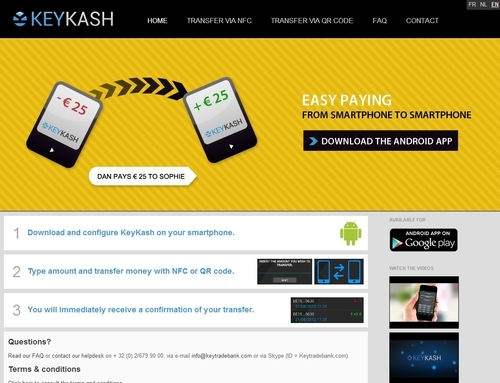 KeyKash is an app for Android phones that make use of Near Field Communication (NRC) and QR codes to transfer money to and from any account in Belgium. Set-up was pretty easy. Once you have keyed in your transaction password, you can choose your account to receive or give money from. 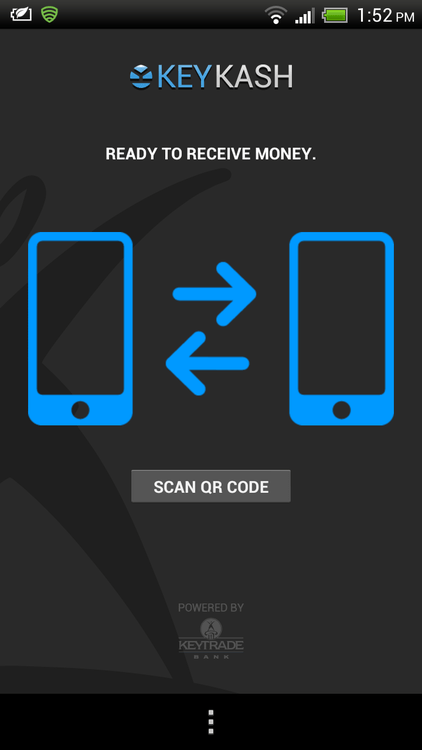 You key in an amount, which will generate a QR code. Once scanned/kissed by the phone of the other party (thank you, NRC! ), the information of the other person’s account will be there and both of you just have to confirm the transaction. Sounds easy, right. Only problem is that I haven’t found someone with an equally good Android phone to test it with (I use HTC One X). In their ad, Keytrade cited an example of you owing someone money but there are no ATMs around as a situation to use KeyKash. How often is that going to happen? On top of that, the app is not available for iPhone (because iPhone does not have NFC. Why not, Apple??) and a whole list of lousy non-NFC Android phones that technologically-primitive Belgians use/buy. BUT, I really like this daring innovative aspect of Keytrade Bank! You are too way advanced for Belgium, but you’ll be great in a hi-tech country like Singapore and Japan! They have even made a mini-site with videos for you to see how it works.